Check in at Dublin airport for our Aer Lingus flight to Toulouse airport. Following our arrival at Toulouse airport, we will make our way to the baggage claim area and collect our luggage. 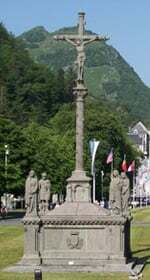 We will proceed to the arrival�s hall, where our guide will be waiting to bring you to your coach for you transfer to Lourdes. 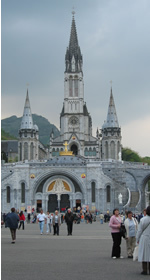 On arrival in Lourdes, we will check-in to the Hotel Astrid and relax before dinner, which is usually served around 7pm, After dinner, we can take a short walk down to the Sanctuary to observe the candlelight procession and to pray the Rosary. 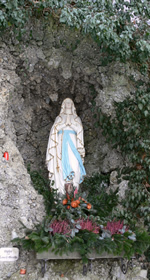 After our Farewell Mass as a group, there will be a chance for some last-minute shopping or personal prayer before transferring by our luxury coach to Toulouse airport for your return flight home.